The wind blew and the rain poured this weekend but the temperature soared at the St David’s Hotel in Cardiff Bay at the launch of Nathan Palmer’s long awaited RTW collection. 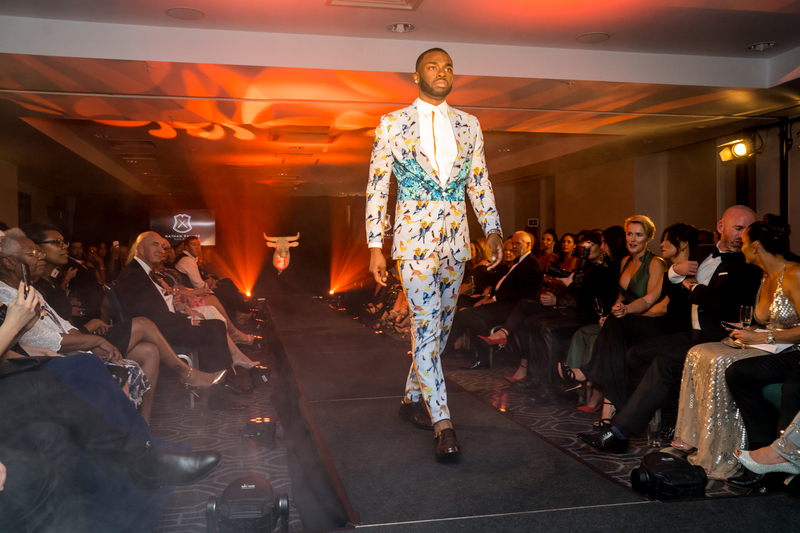 With guests including Welsh Rugby stars Gareth Alfie Thomas and Josh Navidi, Olympic athlete Harry Aikines-Aryeetey and Cardiff City F.C Captain Sean Morrison, this Fashion Show is fast becoming the hottest ticket this side of the Severn Bridge. 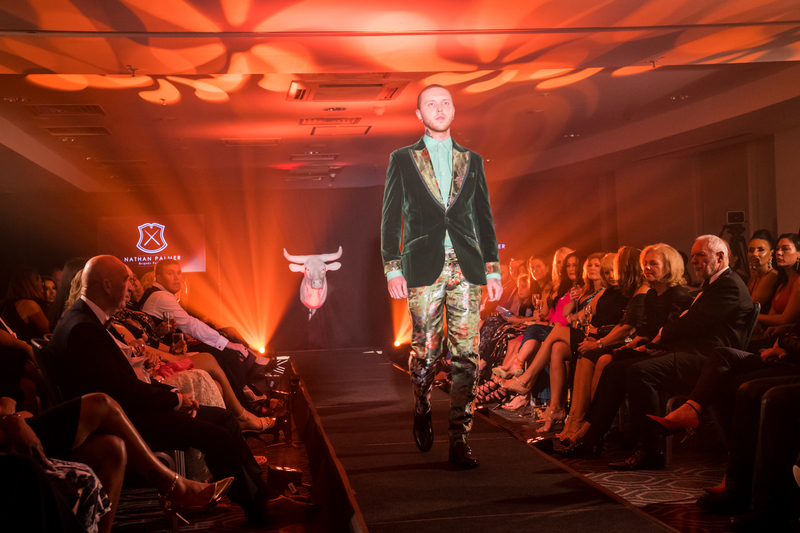 For Nathan’s third collection – Traje De Luces (Suit of Lights) – the very talented and creative designer drew his influences from Spain’s bull fighters. Nathan looked at the bohemian spirit of the relationship between man and beast and his interpretation produced distinctive pastel prints, vibrant velvet colour palettes and ornate detail which has become a trade mark of the Welsh designer. Following the runway show, guests were treated to a three-course fine dining experience courtesy of Michelin Starred chef James Sommerin.